A leak from the Container Store all but confirms what Google's announcement event today will be all about. 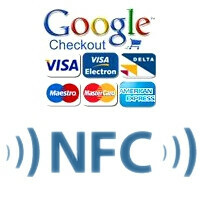 Hot on the heels of including an NFC chip in its poster Android handset, the Nexus S, Google will be launching the supporting infrastructure for mobile payments, called ingenuously Google Wallet. As we wrote yesterday, at first the service will likely be available on Sprint's Nexus S 4G, and go live in New York, San Francisco, Los Angeles, Chicago and Washington, D.C., with more cities and phones to follow. We'll know more about the exact details in just a few hours, but in the meantime you can refresh your knowledge on the various mobile payment systems in our detailed article.